If I think back about it I think the main cause for my back problems was when I was young I jumped off a tree onto a trampoline onto my knees, this jarred my back and I just walked it off at the time. Over the years, I have “put my back out” a handful of times. Once from trying to move a van that due to driver incompetence had wedged itself into a storage rack at the place I worked. One time I was getting up from the couch and I threw a playing card onto the table. Two years ago when I hurt my back once again, initially it was my leg that hurt the most and a trip to the Doctor informed me that it was a pulled hamstring. I was given some painkillers and referred to the physio. He explained what I had done and a lot of stretches, pulling and pushing of my legs as well as a go on some machine that did something to the muscles in my back. After a few visits to the physio, it just wasn’t getting any better, and I just stopped going. I got some serious pain around this time and couldn’t go to work, physically I could barely move and mentally I couldn’t concentrate on anything. I spent a lot of time on the lounge floor rolling around trying to get comfortable while being in a drug induced haze. My flatmate suggested seeing her Osteopath as he was apparently “good” and as with any suggestion from people you know, I am always a little bit skeptical. It turns out he was pretty good, he likes stating that I am in a bad way a lot of the time and he explained what was going on and what he thought had happened. More prodding, twisting, stretching and bending and I sort of felt a bit better after these visits. I had a lot of stretches to do at home, and one of the best ways to relieve the pain was to get someone to hold my feet and pull on them. I also went and saw another person who our neighbor recommended, he was a one legged man in this very small room. His whole thing was about shocking the muscle area with ice packs. Osteopath liked heat packs, so I was approaching this pain from both ends of the temperature spectrum. After more visits to the Osteopath and less mobility after suffering more pain from seemingly nothing more than getting up out of a chair, he booked me in for an MRI to find out what was going on. To paraphrase what he told me, the goo in the vertebrae was poking out into my sciatic nerve, causing the back and leg pain. He also stated that it appeared I had a high tolerance to pain, as other patients had lesser appearing injuries but were in more pain than myself. He said I had to get another diagnosis as he felt I must surely be a candidate for surgery, he wrote a rather strongly worded letter and booked me in to see one of the local back surgeons. The visit to the surgeon was long, not from the amount of talking just the sheer amount of time it took for me to get from my car to the building, something that would take normally mere seconds was taking my in upwards of 15 mins. The surgeon looked at my scan and said he had seen much worse and as much pain as I was in and as much as I didn’t like it, he said it would come right over time. My Osteopath couldn’t believe he had said that. My back did get better, I had to be careful what I did and think about if I could lift something and how I lifted things. Lots of people gave advice and opinions on the whole thing, some people are in the camp of surgery being the best thing that ever happened to them and you should get it, while others were stating that surgery was the worst thing that had ever happened to them and to stay away from it. My back hadn’t given me any major problems for a while, there was the odd niggle and dull pain, but nothing that was bothering me. If I sneezed or coughed hard there was a small shooting pain into my lower back. I went to the Fieldays at Mystery Creek and on that day I had a slight ache in my back, but it wasn’t anything bad as I maneuvered my way through the crowds looking at different stalls and products. 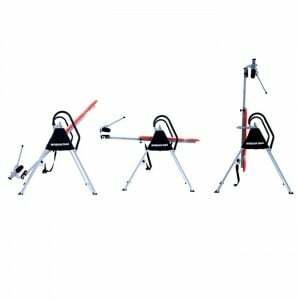 I happened across a stand with three inversion tables set up with a man in one of them, I assumed he was a customer as they were offering 10 minutes for $10. It turned out he was the owner of the company and after some convincing from him and my flatmate I got in place on one of these inversion tables. He explained the benefits, how he used to have a bad back, mirroring my own experiences and how surgery hadn’t worked for him. His sales pitch continued as he made me invert on the table. It is a flat table which is pivoted in the centre of an A frame. It locks your feet in place and you lay back and depending on how far you have it set you can go from laying flat to being upside down completely all while being held by your feet. Reduced back stress by relieving pressure on vertebrae discs & ligaments. Reduced fatigue, stress & improved relaxation of your body. Increased circulation of blood to help relieve stiff muscles. Increased body flexibility to improve athletic performance. After my 10 mins on this inversion table I carefully came upright and left the area, he stated I should be careful as I may still be a bit sore. To be honest, I was in more pain then when I went to the stand and being the nice person I am I said I felt fine and carried on my way. After about 30 seconds it hit me, I instantly became pain free. I could walk freely and I felt amazing, something I hadn’t felt for a long time and something I couldn’t compare with the pain because I hadn’t had the pain free feeling in what seemed like ever. It lasted about half an hour then I went back to feeling normal. But there was a downside, the cost. 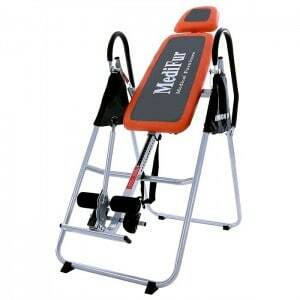 For the inversion table I tried they were after $1200. I have no doubt it made my back feel better, and anything that can do it is well worth the money. But I thought to myself there had to be other options. They have 3 different models with the cheapest and most popular model being the $199 (at the time of my purchase) version which is also the only version that is also foldable. After much thought and comparison between the tables I went with the $199 version. Honestly they are such a simple idea and apart from looking a bit better I don’t know what all the extra money gets you, especially ones that cost over a $1000. As expected you have to put the inversion table together once it turns up, and the instructions like most things you have to put together aren’t the clearest. But No1 Fitness in their wisdom include a link to a YouTube video on putting it together and include a DVD on how to use it. The main thing is to make sure you adjust the length just right so when you are on it, it balances just right, this is all covered in the DVD. I use it at least once a day and will get up to using it twice a day, I am working on increasing the length of time I am on it, and increasing the inversion, I currently go backwards to around I guess a 50 – 60 degree inversion, and will work up to be totally inverted. I feel it helps decompress my spine, something that I can’t easily do any other way. My back pain has gone away, and if I sneeze or cough there is no pain whatsoever. It is early days, but I am very happy with the purchase and hope this can help out other people with back problems. It is a cost effective solution to a problem that can be a real pain. Your 2015 Blog sounds great and especially your pain and reasons for buying an Inversion table which ‘mirror’ our experiences except that we are looking to purchase hence our Search! However this is dated 2015 and we would like to have an update please on your ‘progress’ and continuing use and benefits as at 2018…..
Hi Julie, not a hundred percent sure what the other comment related to, probably something to do with the commenting system I’m guessing. 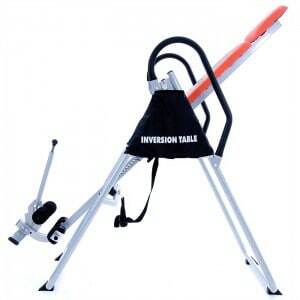 Time sure does fly by, I will do an update on the inversion table for you in the next couple of days, of if you need any answers quicker please send me an email via the contact page.